After years of ogling Ducato's Natural Nail polishes, the limited edition release of shade N80 Mustard was too gorgeous to ignore. N80 Mustard is a deep, muted English mustard cream laded with mustard and copper micro shimmers. I adore shades like this, especially for Fall. I was really impressed with the quality and performance of the polishes "just right" formula. The first coat applies sheer, but evenly. With the exception of a hint of nail line showing, the second coat is basically opaque. However, I prefer to completely mask the nails, and love the color depths achieved with the third coat. From the first coat, the shimmers are apparent on the nails, and become more evident with every layer. Also, the finish is very glossy. I got N80 Mustard last Thursday, and I've been wearing it since Friday. So far, my manicure is incident free...pretty impressive for a 648 yen nail polish. 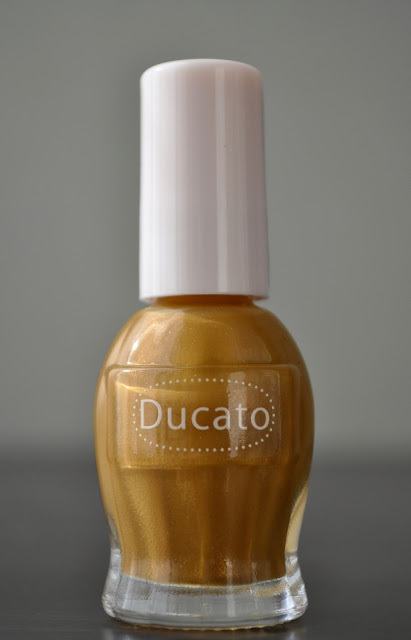 Smitten with the shade and performance of this polish, I see myself adding Ducato Natural Nail to my "brands obsessed with" list. Even now, I'm planning on purchasing the other limited edition shade that grabbed my attention, i.e. a bordeaux red. 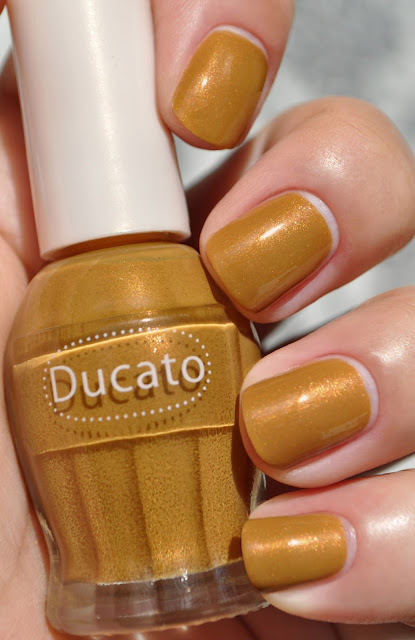 What mustard/ochre shades do you like wearing in Autumn?